Welcome home. To a place where technology doesn’t steal your attention but earns it for all the right reasons. Combining the power of OLED 4K images with the world’s best TV sound system, the new BeoVision Eclipse is redefining the TV experience. Merges the best of two worlds. 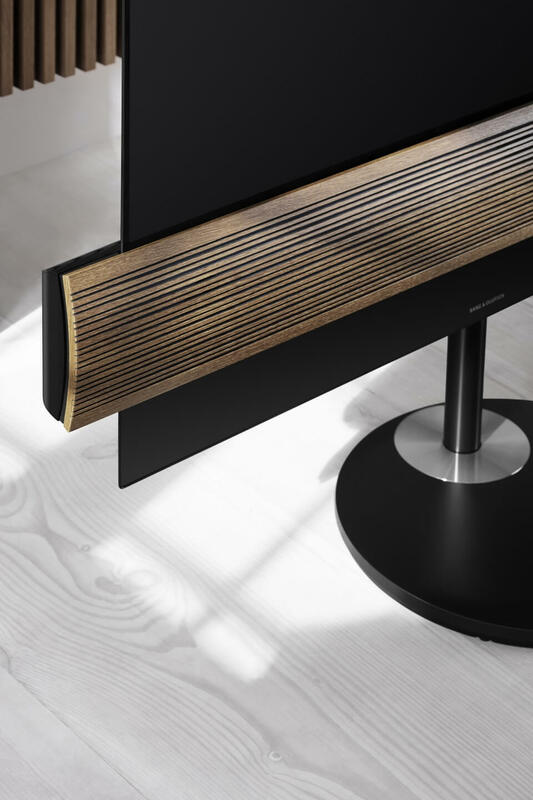 BeoVision Eclipse, the first TV developed by Bang & Olufsen and LG Electronics in partnership. BeoVision Eclipse gives you an experience that outshines all previous television experiences. 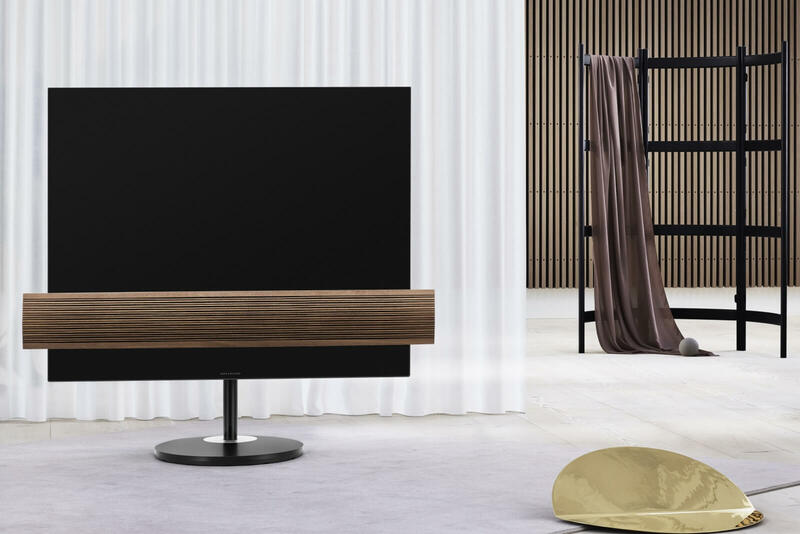 With the BeoVision Eclipse, the combination of exceptional OLED technology with true Bang & Olufsen design and the visualization of its unique sound quality are celebrated. It stands out with its unparalleled picture quality through the 4K OLED screen with HDR and DolbyVision and the 3-channel sound center delivers the best integrated sound quality on the market. The BeoVision Eclipse is also an independent audio center with a superb performance. We live in a time when our four walls contain more tablets and phones than family members. These little personal screens keep us busy, but they do not make us come together. The TV, however, is and remains a pivotal point of our social interaction. It is a founder of communication, a meeting place of emotions. It offers this unique place where everyone can lean back and share the same experience - right here and now. The Sound is more than half the picture. 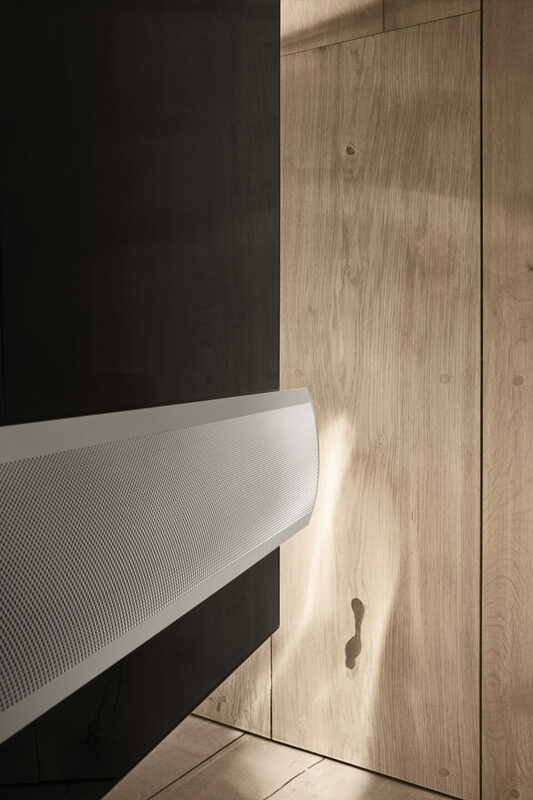 The BeoVision Eclipse is a reflection of the design and supreme acoustics associated with Bang & Olufsen. 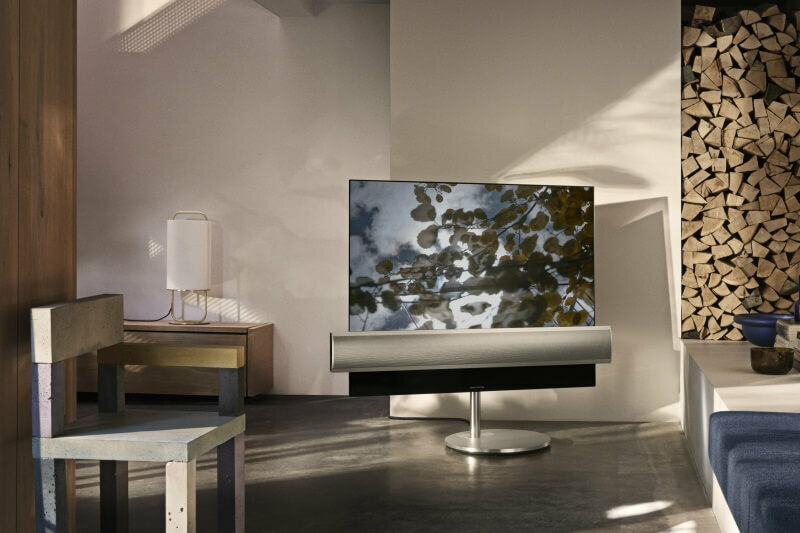 The new TV integrates a 3-channel SoundCentre and a visual appearance that mixes glass with coloured fabric or aluminium. 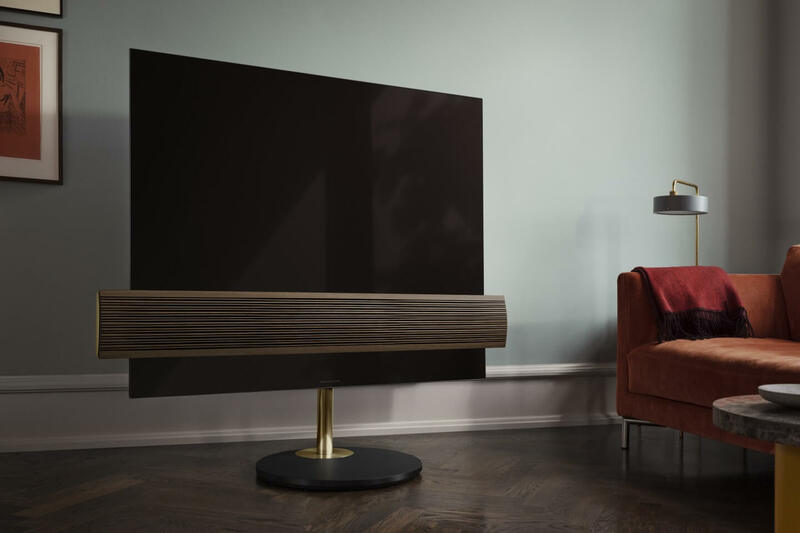 And for the first time it merges LG Electronics’ OLED TV technology, which is renowned for the ability to reproduce the most lifelike images with its revolutionary pixel dimming control technology that renders perfect blacks, infinite contrast and an expanded colour gamut. BeoVision Eclipse is both a television and a music system presented in one comprehensive solution. The TV’s integrated and 450 watt powerful 3-channel SoundCentre offers both stereo performance and centre channel, surpassing most integrated solutions and soundbars on the market. The integrated speaker system also has 7.1 digital surround sound decoding for a sound experience like in the cinema. 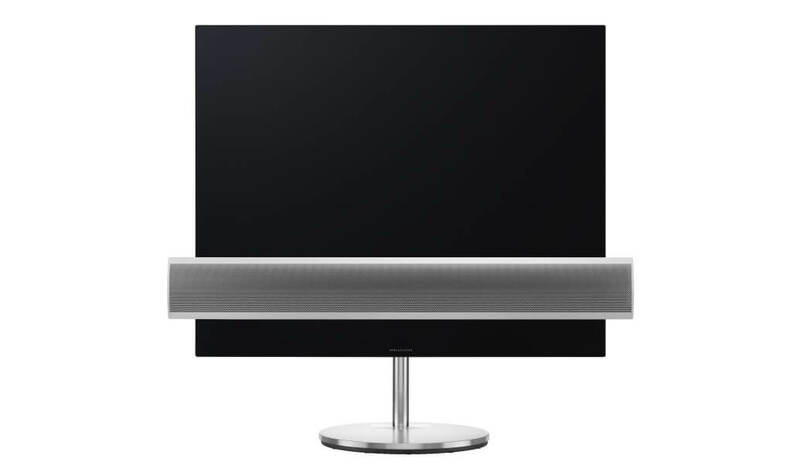 The sound quality of the middle channel is the same as that of Bang & Olufsen high-end speakers. Since a central channel provides optimized voice reproduction, stereo and incredible bass performance, the sound performance of BeoVision Eclipse is impressive on its own. It houses six amplifiers and six drivers in separate sealed boxes. By also integrating internet radio and music streaming services, BeoVision Eclipse becomes a music system in its own right. 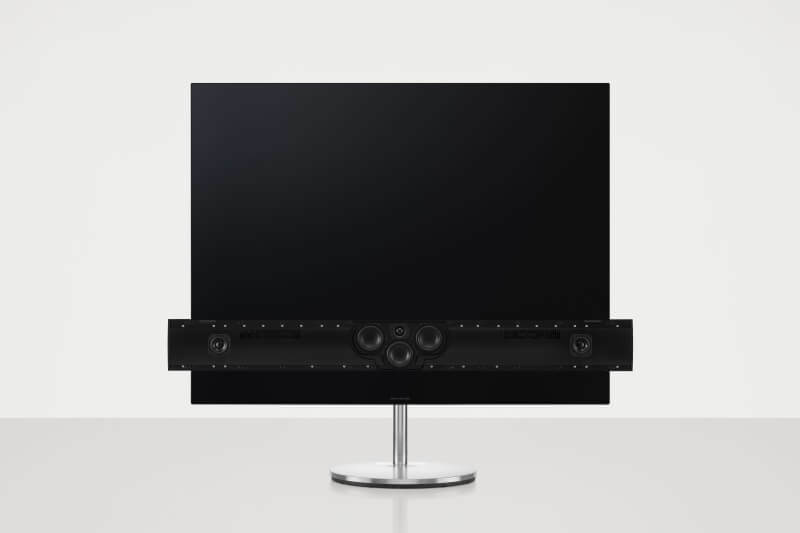 If you opt to use additional speakers via the integrated surround sound decoder, the centre channel performance of the TV matches any of the Bang & Olufsen high-end BeoLab loudspeakers. In other words, this enables an immersive cinematic experience in your own home. More than just a TV. 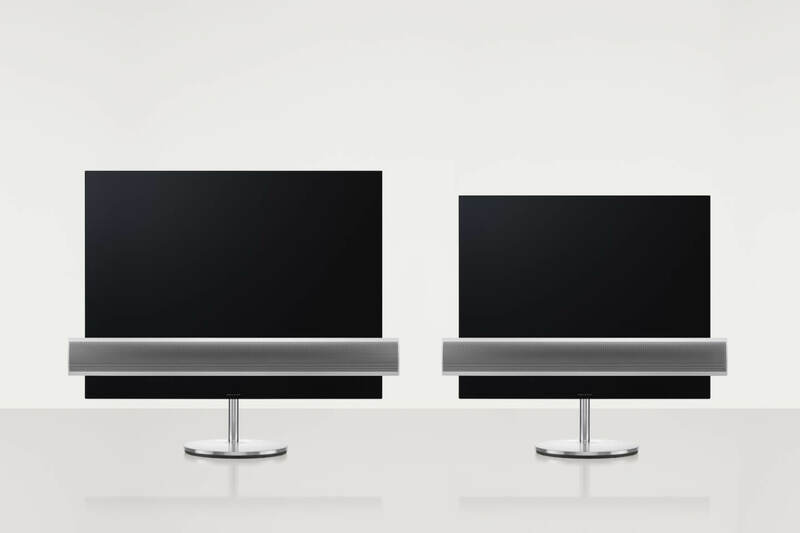 BeoVision Eclipse functions as a highly flexible A/V-center. The TV includes 4K video processing technology and comes with LG Electronics´most recent webOS 3.5 platform. The platform allows you to access and customise your favourite content, apps and devices; Music streaming services like Spotify, content providers such as Netflix, Amazon and YouTube, Blu-ray players of any brand, as well as your personal content. The audio streaming part includes TuneIn radio, Spotify Connect, Deezer, Chromecast built-in for audio, audio AirPlay and Bluetooth streaming. By bringing it all together in one place, BeoVision Eclipse dramatically reduces the complexity of our digital lives. 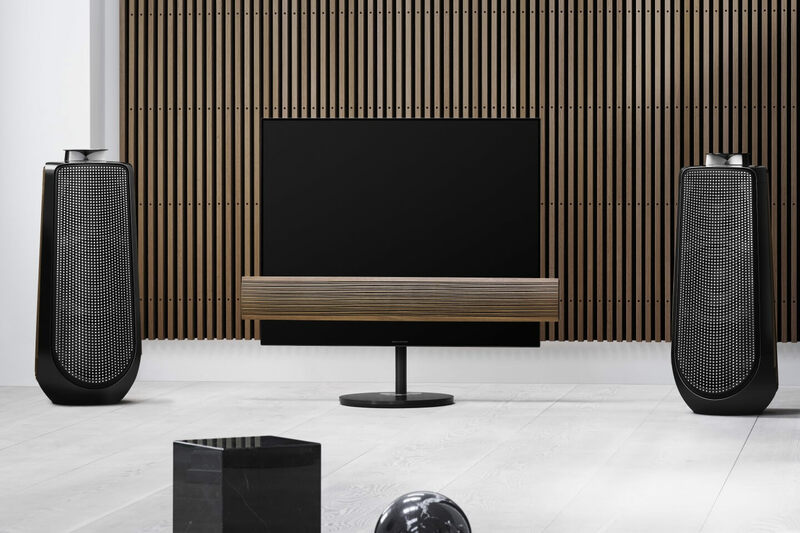 BeoVision Eclipse is part of the BeoLink Multiroom offer, which combines your Bang & Olufsen and B&O PLAY products in just one wireless system - for more freedom in your home. Technology and aesthetics in harmony. 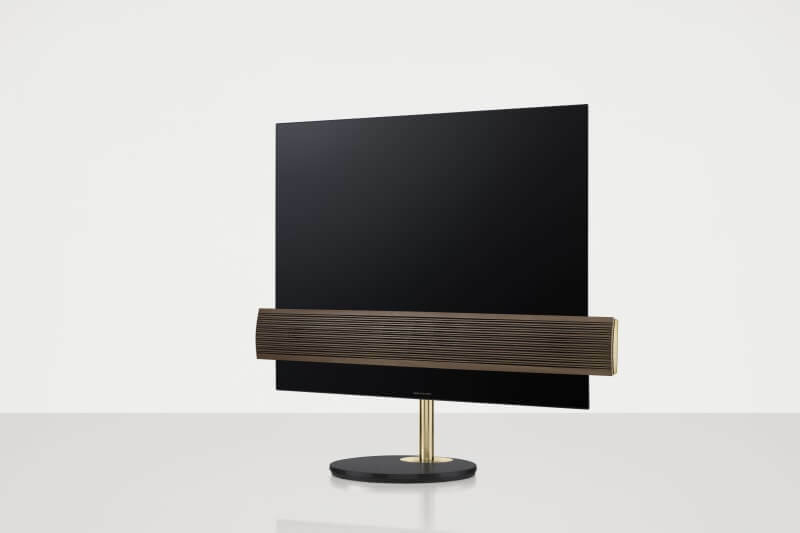 The design draws on the classic Bang & Olufsen ideal of aesthetic simplicity, highlighting the importance of sound; The slim glass surface continues beneath the SoundCentre, which in turn expands beyond the screen on both sides. 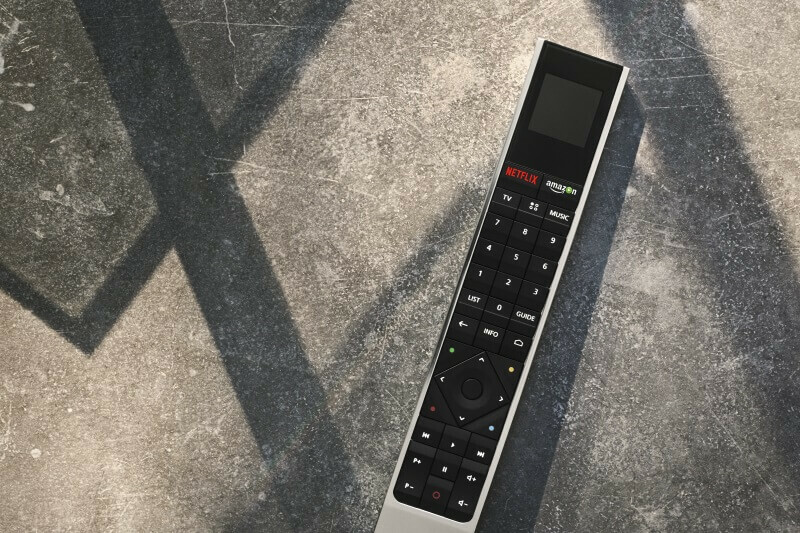 This makes for some exciting contrasts – between image and sound, slimness and volume. However, at the same time, the design naturally integrates all elements in an appealing design. 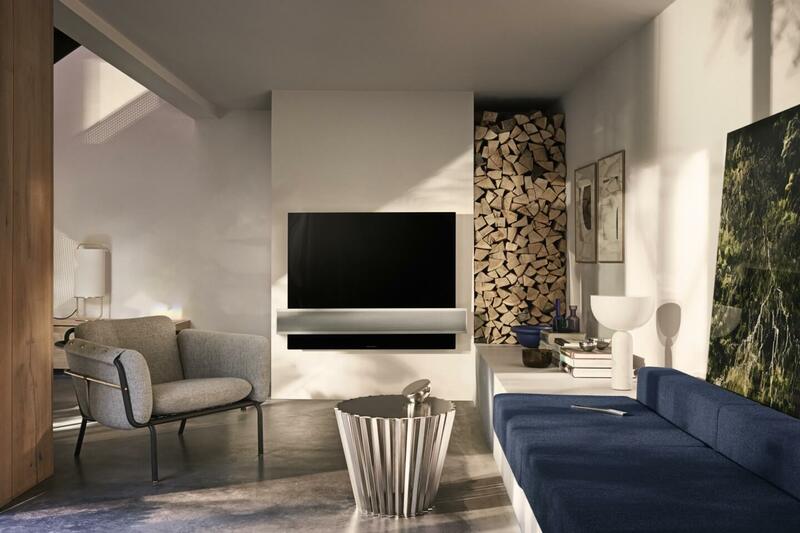 The motorized floor stand also provides for aesthetics and comfort: The floor stand with its exceptional mobility makes the TV appear as a "one-piece" element, which balances elegantly on the relatively small stand. 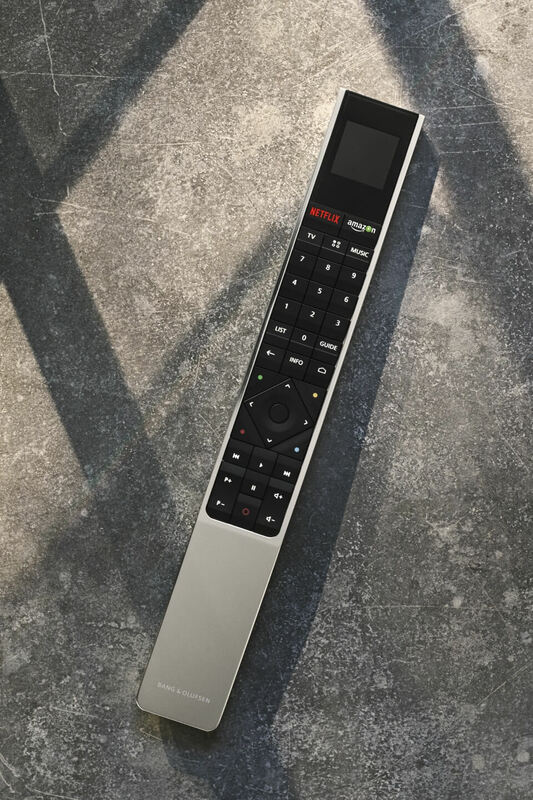 The smooth sliding floor stand, which is already known from BeoVision Avant, can rotate the device by up to 90 degrees from the wall so that it can be moved to each side depending on the desired viewing angle. No matter where you are seated, the TV can always be adjusted to your position, modifying not only the viewing experience, but the entire decoration of the room. 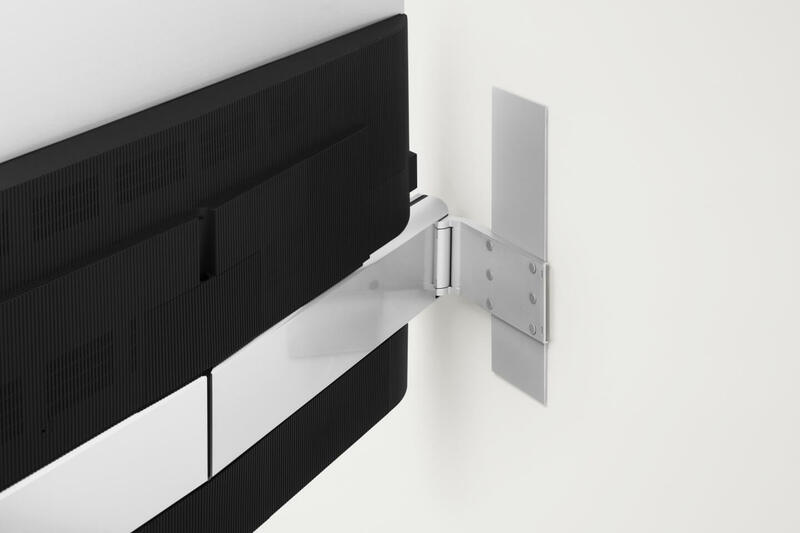 In addition to the floor stand, BeoVision Eclipse can be placed on a motorized or manual wall bracket. So when the BeoVision Eclipse is swung from the wall, you will see how it silently turns in the air and floats - a light and sculpture-like appearance. This play with angles makes this placement option a magical element. 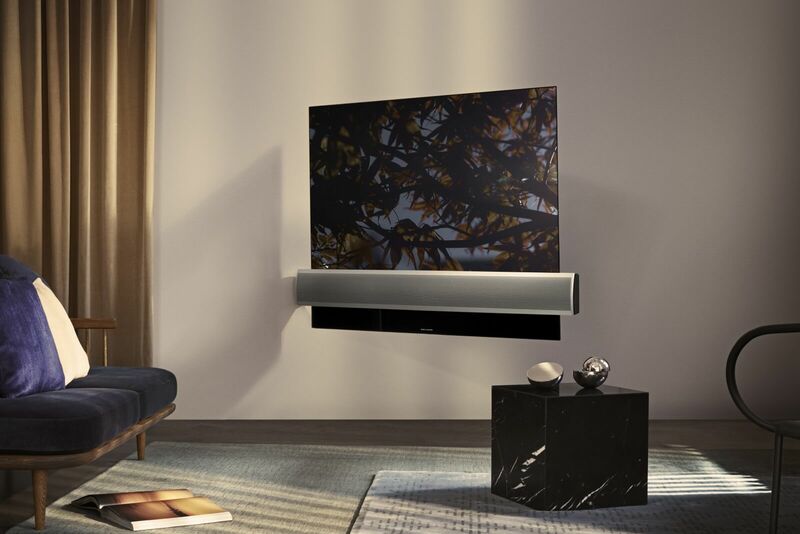 The concealed motorized wall bracket allows the screen to be swiveld by up to 60 degrees from the wall (left or right of the hinge), so that the impression arises, the TV set hovering almost in the air. With the fixed wall bracket, the TV is firmly fixed to the wall. The flat screen and the prominent loudspeaker covers together create an impressive mural. You can leave a personal mark on the design, as it is possible to customise the speaker front by choosing either aluminium or coloured fabrics. The TV can draw attention to itself or smoothly blend into its surroundings, depending on your choice. The world's leading SmartTV platform has become even better. From the extremely fast switch-on time to the user-friendly integration of all sources for media content. 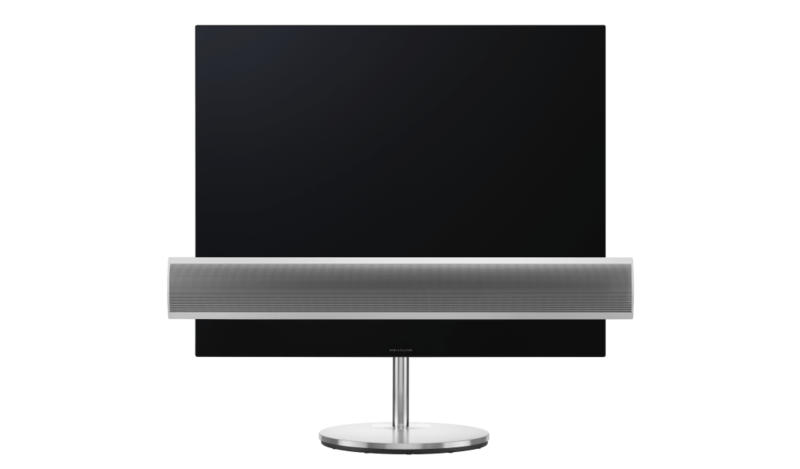 At BeoVision Eclipse, the SmartTV platform is based on a webOS 3.5 TV platform which offers access to a variety of sources and internet content such as Netflix, Amazon, YouTube etc. and even to your collection of photos. "We strive to evolve alongside our customers and deliver products that fit into their lives. BeoVision Eclipse is in many ways a flexible solution for the modern consumer, and it represents another leap forward in the way we make TV’s. It is what you want it to be at any given time," says Stefan K. Persson. Experience BeoVision Eclipse in your home! Don't miss a manufacturer's campaign or other advertisings where the price is reduced for a limited time. We will inform you automatically if your desired price for BeoVisionEclipse is reached or we have another suitable offer for you.